Gulf Front 1 bedroom PLUS hall bunk beds, 2 bathroom condo at Royal Palms. This unit features tile flooring throughout, a nice size bedroom & rental ready! One of the only units in the complex that has an OUTSIDE STORAGE ROOM. Great Rental property. Fantastic Established rental with winter guest arriving December 1st for 4 months. Enjoy a cup of coffee while watching the dolphins in the morning. 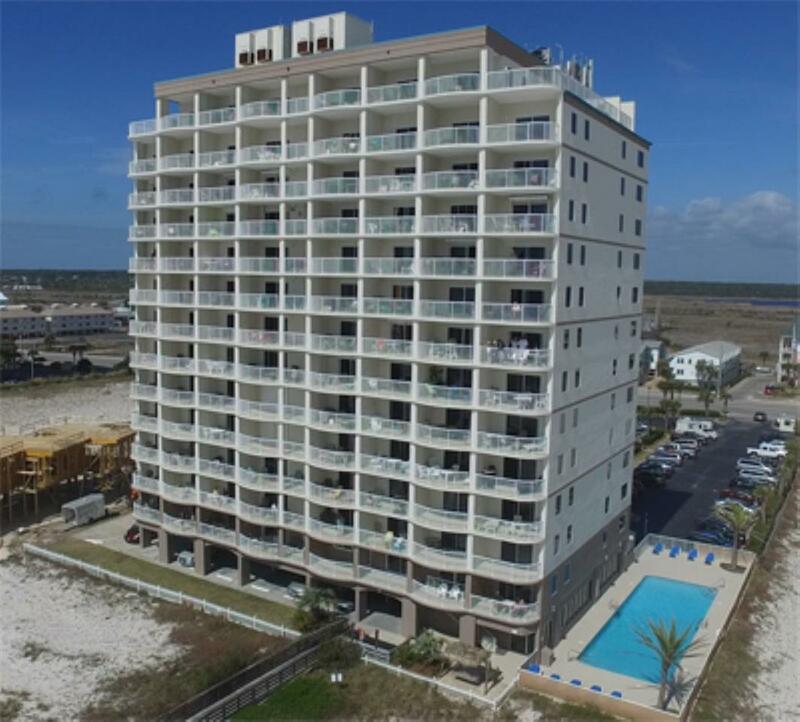 Royal Palms is located in the heart of Gulf Shores, close to all area attractions.